Try making this tangy dip at your next cookout—it takes just 20 minutes to make, and makes for a smoky, addicting spread for Grilled Flatbreads or a dip for crudités. 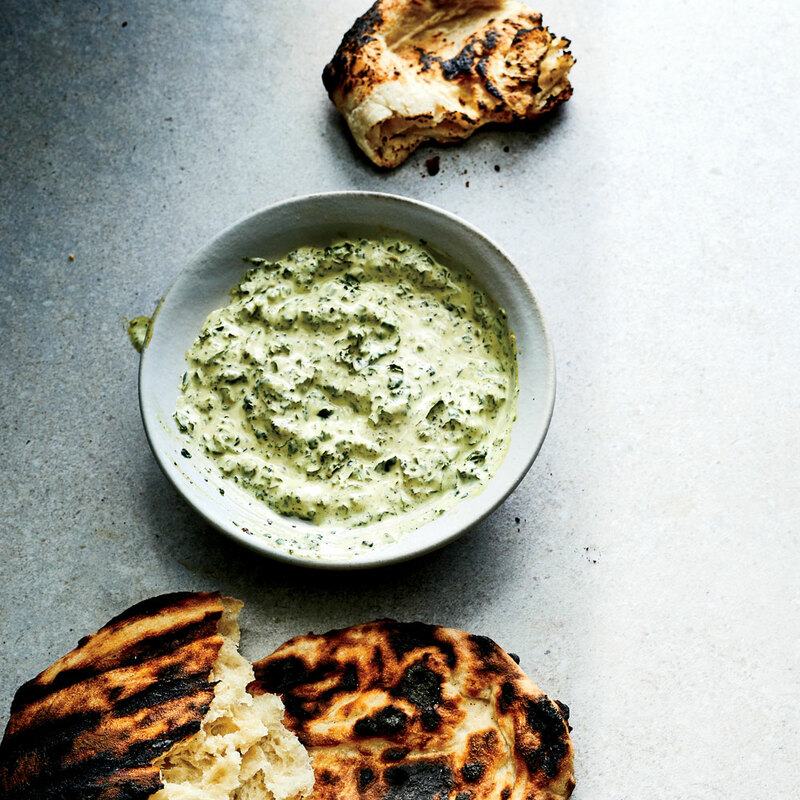 The grilled kale leaves won’t char evenly, and that’s fine—a mix of doneness that ranges from lacy and blackened to deep emerald green and tender gives the dip a deep, savory flavor. Preheat grill or grill pan to medium-high (400°F to 450°F). Using tongs, carefully wipe grill grate with a lightly oiled paper towel. Working in batches, arrange kale leaves perpendicular to grill grates (so they won’t fall through), and grill, uncovered, until lightly charred, 1 to 2 minutes per side. Place grilled kale on a cutting board; trim and discard thick stems, and coarsely chop leaves. Combine kale and salt in bowl of a food processor, and pulse until coarsely chopped, about 6 times. Add yogurt, mayonnaise, chives, buttermilk, fish sauce, mustard, Worcestershire, vinegar, hot sauce, garlic powder, onion powder, and pepper; process until almost smooth, about 20 seconds. Season to taste with salt. Store in an airtight container in refrigerator up to 2 days.